Erica Markey and Issy Delamer travelled to Alicante to compete in three friendlies against England under-23s. 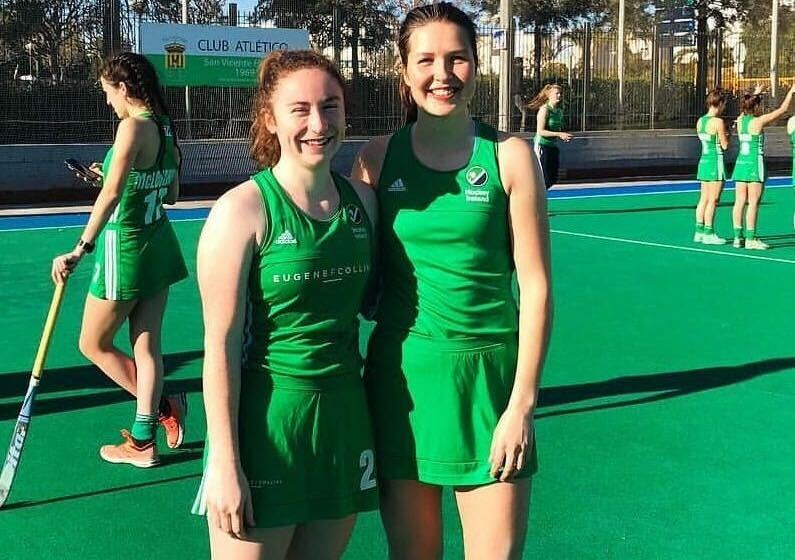 Dublin University Ladies Hockey Club’s (DULHC) Erica Markey and Issy Delamer travelled to Alicante to compete for the Ireland under-21 squad in three matches against the England under-23s. The series of friendlies took place as the squad prepare for the upcoming European Championships, which will take place in Valencia in July. The players who travelled also participated in an intense warm-weather training camp. There are currently 35 players in the squad, 18 of which will be chosen to compete in the European Championships. Twelve of the players in the squad competed in the 2017 competition. The Junior European Championships is an important stepping stone on the way to the Junior World Cup. “Most of the girls attend twice weekly morning gym sessions and regional technical sessions around their busy club commitments as a way of closing the gap between ourselves and the big four, and results over the summer with the U23’s and against England in Belfast in August show we are beginning to make progress”, he added. After a disappointing end to last year’s season, in which they were relegated from the EYHL, DULHC have bounced back this year and currently sit top of Leinster Division 1, one point ahead of Monkstown. Both Delamer and Markey were awarded sports scholarships this year along with fellow DULHC player Rachel Burns. Sixty-eight scholarships were handed out in total.